At Westerly Restoration Ltd., we believe in quality work, honesty and excellent service; that's where we rely on our numerous years of experience in the construction field and the restoration industry.Our company provides building envelope and restoration services in Surrey, Vancouver, Burnaby, Richmond, Langley, Coquitlam & the rest of the Vancouver Lower Mainland of BC. David began his career in construction as an apprentice carpenter building single family homes in the Lower Mainland. He then moved onto building tilt-up buildings for a large construction company in Vancouver. The “Leaky Condo” crisis in Vancouver started, and David started working hands on in dealing with the vast number of issues the “Leaky Condo” crisis presented. During his time in working in the “Leaky Condos”, he has gone from carpenter, to site foreman, to business owner of Westerly Restoration Ltd. David is still hands on in the day to day on site work that Westerly Restoration does. Whether it be difficult waterproofing detail connections, or structural rot repairs, David makes sure the job is properly done. David has well over 20 years of experience in construction. Brian began his career in construction building barns on the prairies. He then moved to Vancouver and worked for large concrete construction companies building tilt-up projects. Brian has also built custom single family homes and has worked on numerous school projects and renovation projects. Brian is very knowledgeable in all aspects of concrete, and concrete work. Brian also dealt with the “Leaky Condo” crisis work in Vancouver, and refined his skill set working on some buildings that had significant rot. Brian has well over 30 years of experience in construction. Westerly Restoration works with numerous building envelope engineering firms in Calgary and the surrounding areas. Brian and David actually met years ago in trade school, and have been friends ever since. Whether it be a large project, or a small project, either Brain or David will be overseeing the project. 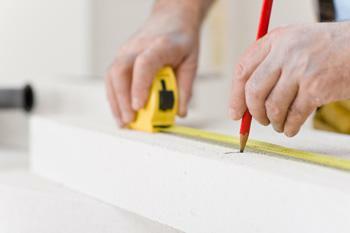 Westerly Restoration Ltd’s project managers have real life hands on carpentry experience. This allows Westerly Restoration to provide quality work that is unsurpassed in the industry.